ICC has given 1 month before the start of world cup for every team to submit their 15 man squad which means every team has to hand over the final squads to ICC before 17 January 2015. There is always a ppossibilityto replace players in case of injury with ICC’s decision before or during the world cup. There is no restrictions on what kind of players teams must pick, all ICC needs is list of 15 players who will be representing the country. Following are the teams who has already announced their World Cup Squads. West Indies announced their squad last week and they appointed Jason Holder as the new captain. Eion Morgan has replaced Alister Cook as the new England ODI captain for the upcoming tri series in Australia and later on the big world cup. here is the ECB’s 15 man squad. England will be heading to Australia towards the end of 2014 as they will be playing a tri nations competition in down under against Australia and India. Afghanistan board has announced their final 15 man squad ahead of the 2015 world cup and Mohammad Nabi will be the captain of the team in their first ever 50 over world cup. Rest of the teams has only announced the 30 man provisional squads for the upcoming world cup, but we will be updating the possible squads of India and Pakistan in coming days and as soon as the final squads has been announced we will update them right here. 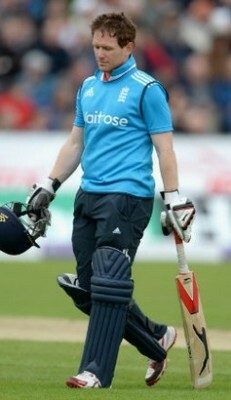 What Cook is not in the England team. is it final team for the ICC world cup 2015?